Lose Your Keys. For Good. 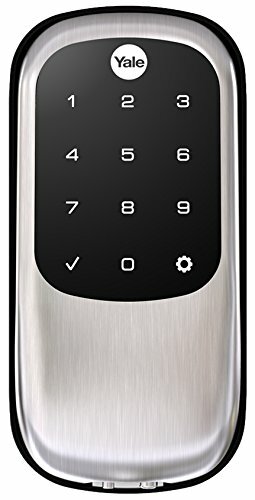 Unlock and lock your home with ease from the backlit touchscreen keypad. Create unique pin codes for friends and family and remove codes whenever you need to. This Yale Assure Lock features ZigBee technology and seamlessly integrates into 50+ home automation and security systems including SmartThings! When added to most ZigBee automation systems, lock and unlock your door, create pin codes, view access history and receive notifications from anywhere. The lock is tamper resistant, easy to install and even easier to use! *Features may vary based on ZigBee controller. If you have any questions about this product by Yale Security, contact us by completing and submitting the form below. If you are looking for a specif part number, please include it with your message.